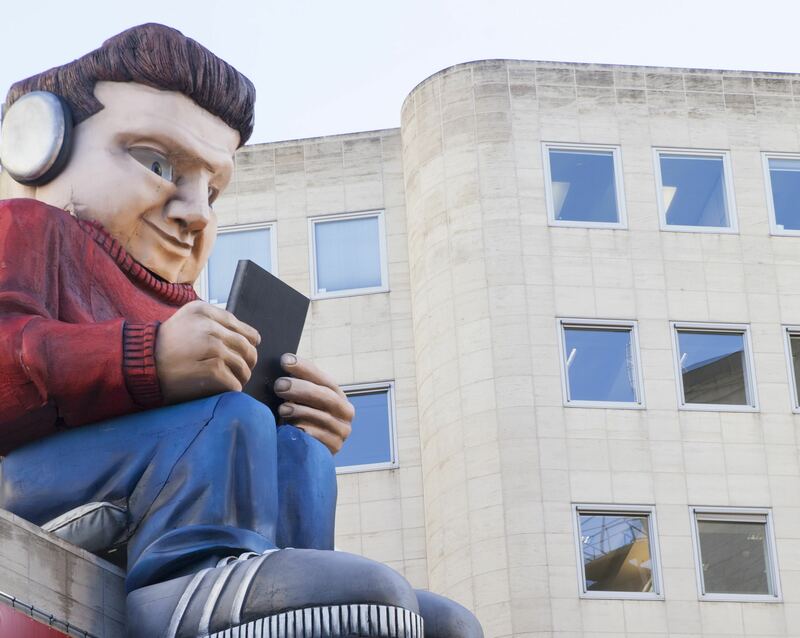 Belgian libraries have a present for all of us. 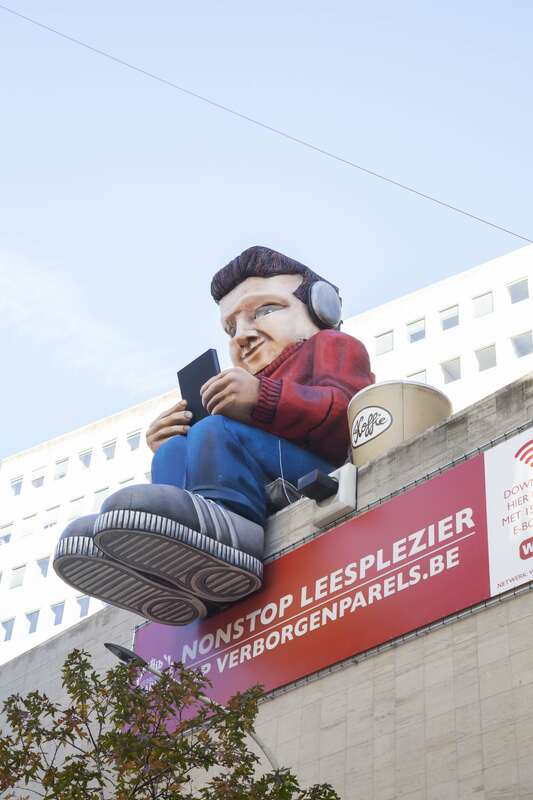 15 free e-books, that can be downloaded on verborgenparels.be. 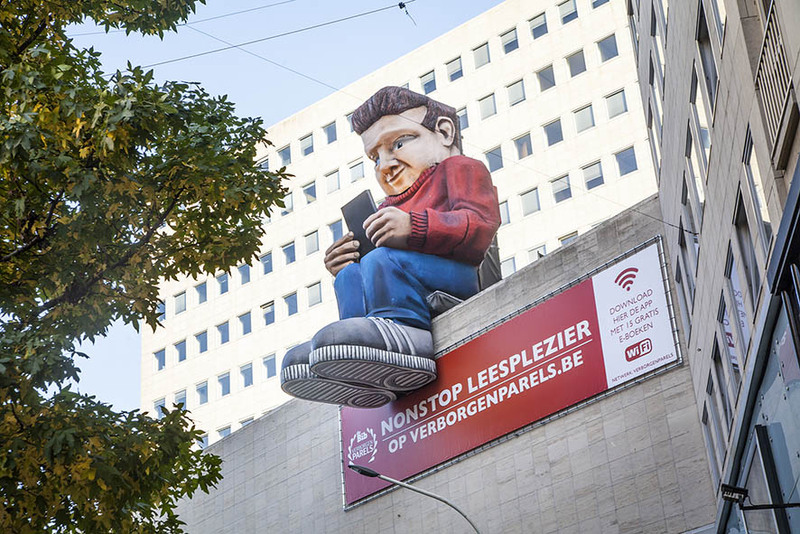 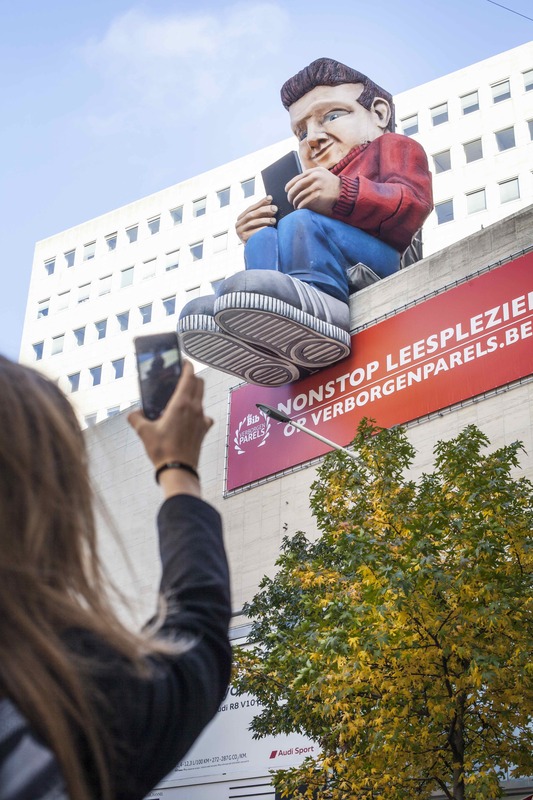 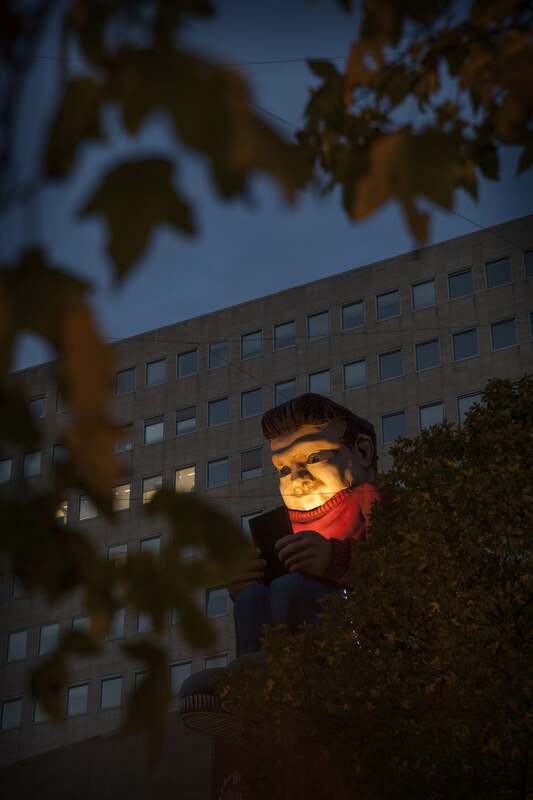 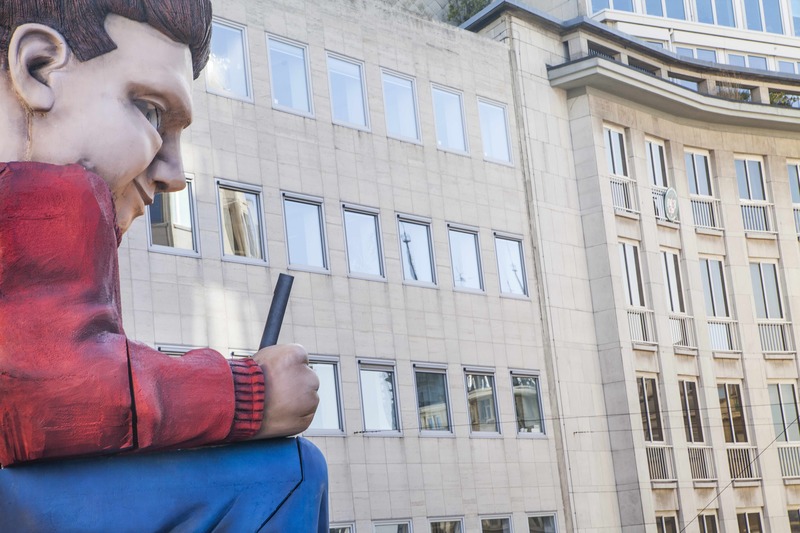 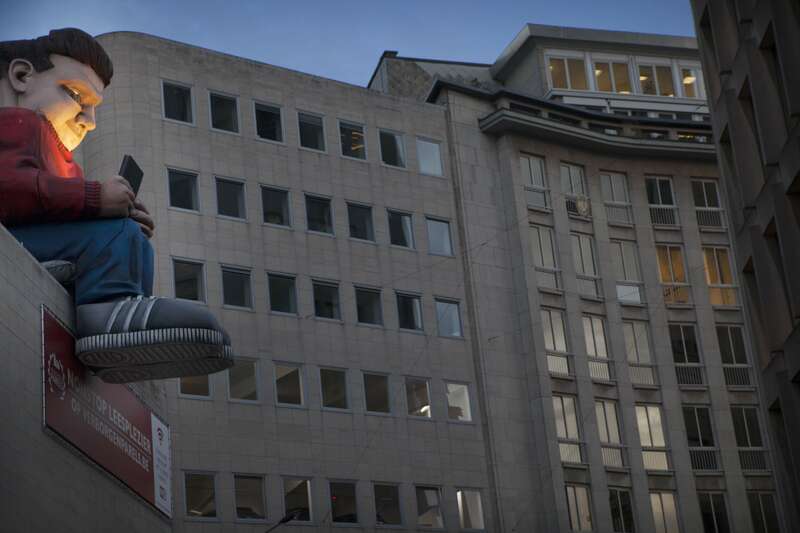 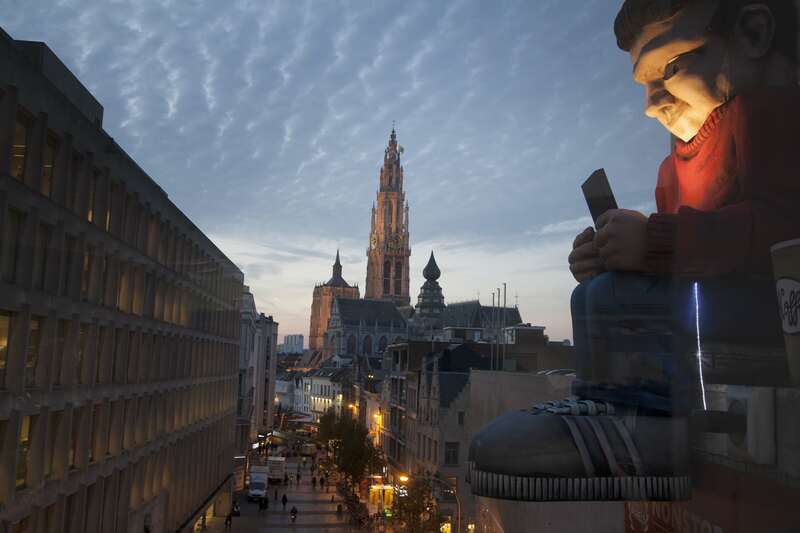 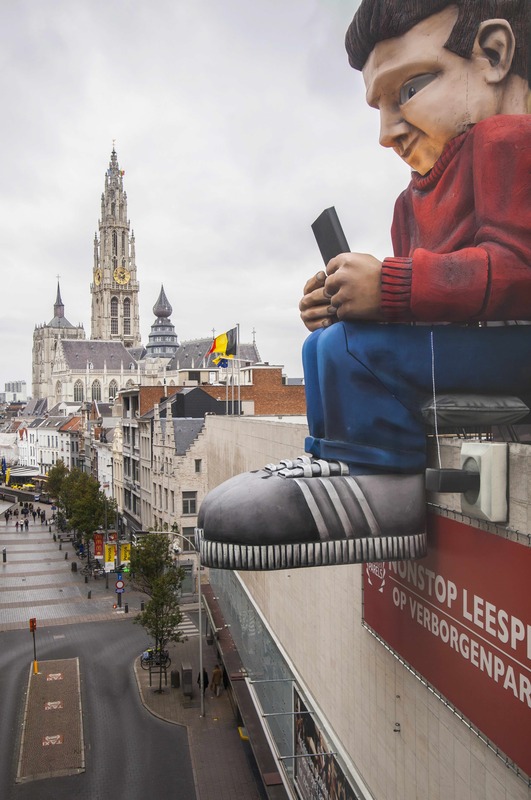 The giant has chosen a comfy spot in the middle of the city and will be reading e-books non stop. 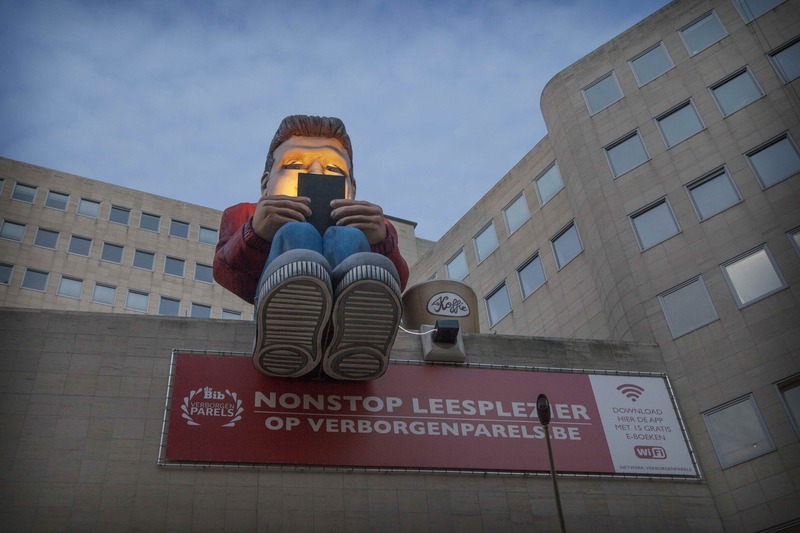 He also brought his charger, ordered an XXXXXXXL cup of coffee and a pair of headphones.